2017 is the year of subtle change, yet also the year of drastic change. 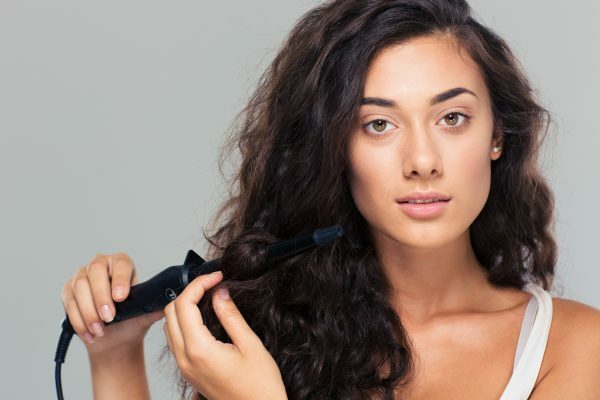 As a salon stylist, you’ll see your clients asking for a simple flat iron wave or maybe they’ll have mustered up the courage to go for a completely different hair color. 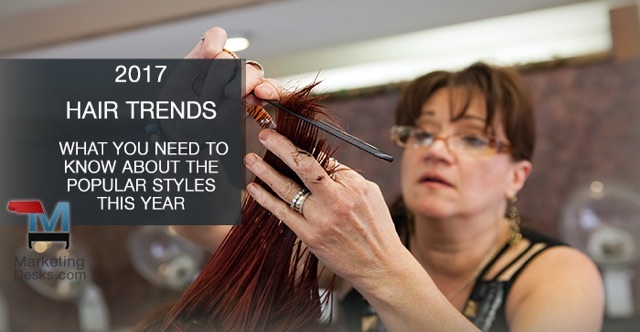 Whatever they ask for, it’s important that you know what the hair style trends of 2017 are to give your clients the confidence in choosing the right style. The eye length fringe look is subtle, versatile, and fun for your clients. If your client wants a change in their everyday look, but doesn’t want to commit to a full chop, suggest the bangs. Also, when you style these bangs on your client, they can let the bangs hang down or style them to the side if they want a change. These bangs are also great for adding texture to the face. The eye length fringe works on straight, wavy, and curly hair, so get ready to style a bunch of your clients with this look this year! The “natural” request is not going anywhere. Your clients may be asking you to trim their hair so it’s healthy and not so much of a radical change. Or they may be asking you how to they should be taking care of their natural hair. Everyone’s natural hair is beautiful, but some just need to know how to style it. Make sure to ask your clients how much time they are willing to put into styling their hair every day- if they want a vibrant style but don’t have the time to style every morning, it’s important they know that before you cut their hair. Natural hair generally takes 5-10 mins to style every morning so that saves them time if they need to run out the door. Your goal is to make the clients hair look the best it can with the least amount of work for them. The ponytail has been around for years, transitioning its way from the relaxed look to a high fashion look. The tighter the pony tail the more fashionable your overall hair appearance. The great thing about the high pony is that it works with straight, wavy, or curly hair. 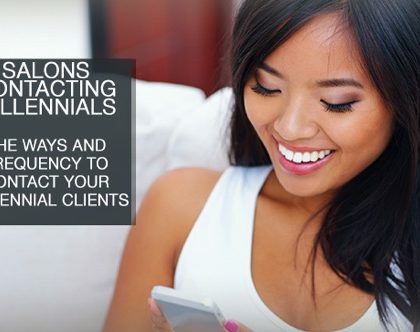 It also gives your clients’ face a lifted look which gives an alert look. The high pony adds a touch of elegance and is easy to assemble. You can also add a strand of hair wrapped around the actual ponytail holder, to make the transition from hair to ponytail holder seamless. What is golden bronde you ask? It’s a golden brown/blonde combination. In some light it looks golden, and in some light it looks blonde. 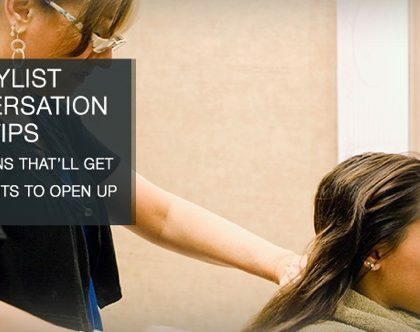 The clients who want a drastic change this year may be coming to you for a dye job. The golden bronde style looks great on client’s with beach waves and those with stick straight hair. Since this warm hairstyle projects multiple colors, it tends to pair with all skin tones. Flat waves are a subtle way to add some volume to your client’s hair without going full on beach wave. These waves are not beachy or bouncy, not glam, but effortless and fashionable. This look pairs very nicely with a middle part, framing your clients face. It also pairs with layers so add even more volume. The great part about this look it that it’s simple to execute- when your clients are trying this look at home, they just need a straightening iron to complete the look, instead of plugging in 5 different hair styling devices. Take these styles and master the ideal and not so ideal clients they work on. 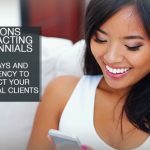 Your clients are going to you for advice and expertise on their hair. It’s up to you to confidently convey your knowledge of hair styles to your clients so they keep coming back to you and referring their friends and family. At the Marketing Desks we can help you market your knowledge of these hair styles, so you can attract more and more clients throughout the year.